The Brough Superior Bonneville team team were visited by members of the Brough Family Organisation. This organisation is for any persons with a connection either directly or indirectly to the Brough name. It has 10,000 members worldwide and has traced over 60,000 others with the Brough name. Appropriately enough the Organisation is based in Utah. It was founded in 1918 and is one of the oldest surname organisations in the world. The majority of the members are based in the USA or the United Kingdom but there are members in Canada, South Africa,New Zealand and Australia. 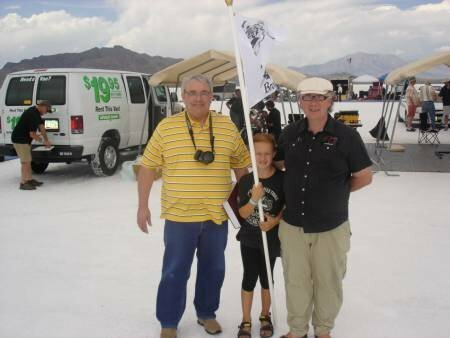 While at the Bonneville Speedway the team met the Vice President Richard Brough and Historian and Global Historian Clayton Brough both Utah residents. 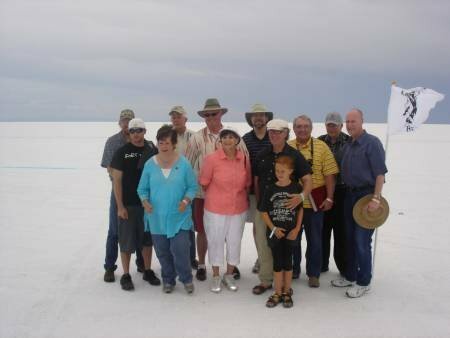 We were also very fortunate to meet Ken Brough from Idaho who is George Brough’s sixth cousin removed. He is the nearest living relative to George Brough who still retains the Brough surname. 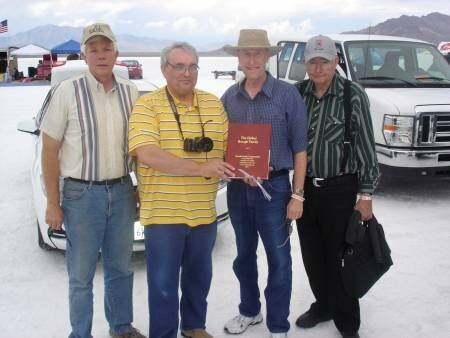 George Brough came to Bonneville in 1949 with the Noel Pope record attempt. Clayton Brough explained the Brough Coat of Arms which is a Saltaire with five swans. The swans symbolise peace while the saltaire cross implies the determination to defend if necessary with life. “Peace and Strength” is the family motto. 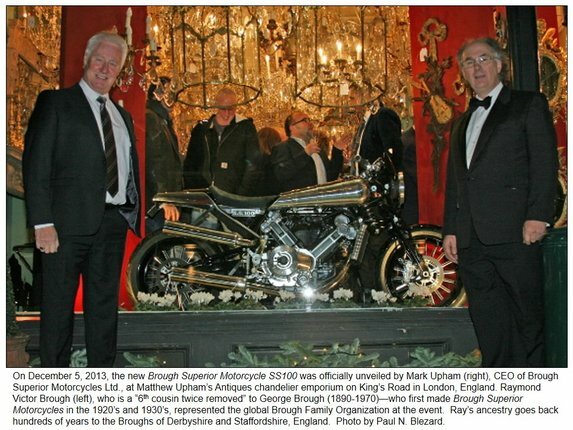 Brough Superior CEO Mark Upham has been given permission to use the Brough coat of arms on his products.